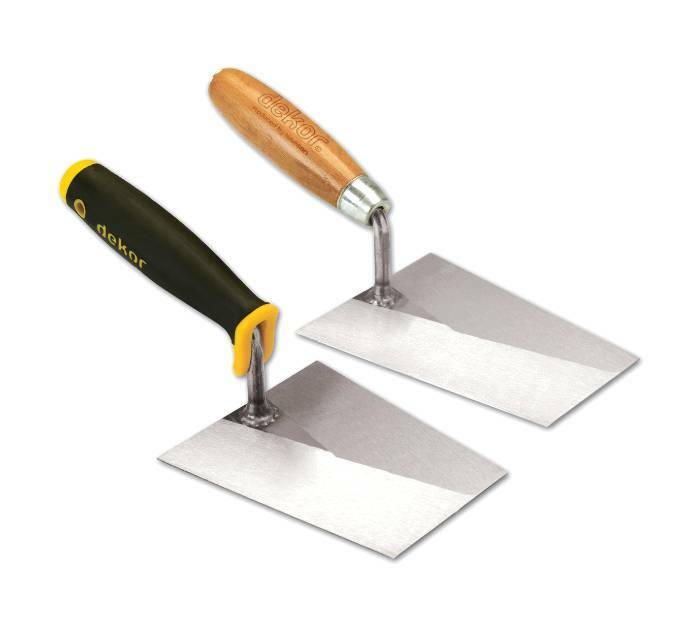 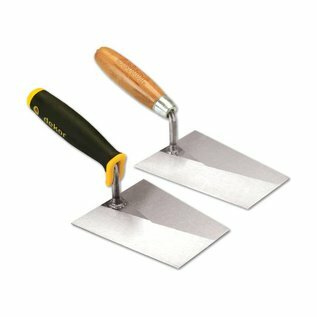 DEKOR BRICK TROWEL - Soft Handle 180 mm - TEPE BOUWMATERIALEN B.V. 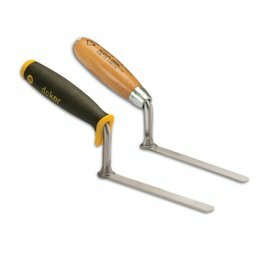 Handle part is welded to the base part by special welding system. 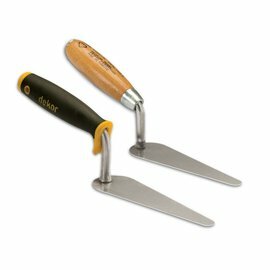 Soft and wooden handle models are available. 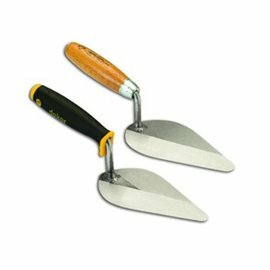 In wooden handle model, handle is manufactured from kiln-dried beech.